Home Growth Strategies Leadership Development Starting A Business How Much Money Do You Need to Make to Start Saving? After a few months of working, you may be wondering just how much you need to make to start saving money. If you are working at an entry-level job, you may be making just enough to cover your basic needs. You may be wondering how much you need to be making to start really saving money. Ideally, you should begin saving as soon as you begin working, and you should take immediate steps to put away money for emergencies ranging from $1,000 to one month’s salary. However, there may be other issues that you might need to deal with before you start saving money. Are You Covering Your Basic Needs? It is important that you can cover your monthly expenses before you start saving money. When it comes to monthly expenses, you should think of it as your most basic necessities instead of including all of your luxuries. This means that you can cover your rent, your food (but not eating out every meal), your car payment and insurance and utilities. This does not necessarily include things like television subscriptions, gym memberships or shopping for new clothes each week. Depending on where you live, you may be struggling to do this on an entry level salary. You may need to find ways to cut your expenses so that you can make ends meet. Taking in a roommate, cooking more from home and taking public transportation can help you get on a bare-bones budget and find ways to save money. If you are carrying credit card debt or other high-interest debt, it does not make sense to be putting a lot of money into savings each month. You are paying more in interest each month than you would be earning on your savings. It makes financial sense to focus on clearing out the debt, and then start saving, since this will put you in a better financial position and you will not be losing as much money to interest each month. Setting up a debt payment plan can help you get out of debt more quickly. Following a budget is also an important part of both getting out of debt and saving money. If you do not already have a budget, set one up today. Could You Be Saving Now? 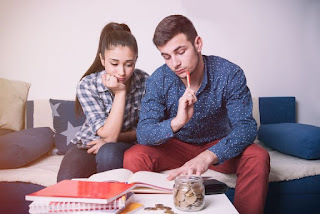 While there may be times when it makes more sense to put your money toward other goals, you may want to look at your spending and see if there are ways that you could increase the money you save or put toward your debt so that you can start saving sooner. Cutting out a lot of discretionary spending can help set you up for the big financial steps you will take in the next few years. It is important to stop going into debt and start building your net worth. Even if you can only cut back $50 a week in a few categories, that is money which adds up over the year. It is important that you are not making excuses when it comes to saving money. If you are buying new clothes every week or going on expensive vacations every year, you can likely find ways to save additional money in your budget. It is important to have fun and to have nice things, but you cannot sell yourself short when it comes to financial security. You need to make savings a priority and make it so saving your money means that you need to watch your spending. Is There a Magic Amount to Earn to Be Able to Save Money? It can be difficult to pin down a specific amount you need to make to have enough money to save. The cost of living varies from area to area and a $50,000 salary will cover a lot more in a rural area than it would in New York City or another metropolitan area. You can start by saving for retirement up to your employer’s match as soon as you qualify for it. Then set a goal for yourself with the amount (either a percentage or dollar amount) that you want to be able to save each month. It also helps to keep your spending in line with certain percentages of your income. For example, aim to have your housing costs around thirty percent of your income. It can be difficult to do in higher cost of living areas. You should make similar goals with other categories. You may consider following a 50/20/30 budget if you want to work on saving more money.